Select five (5) numbers from 1 through 30 or ask the retailer for a ‘ Lotto di Dia -Loco’ and let the terminal randomly pick all of your numbers. To play the same numbers for more than one draw, simply select the amount of draws you want to play in advance in the Multi Draw. Give your completed Selection and payment to the retailer. You will receive a ticket printed with your selected numbers, the draw date(s), ticket price, identification numbers and the value of each panel played. PLEASE check your ticket before you leave the store. YOU are responsible for the accuracy of your ticket. 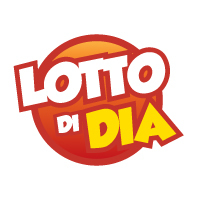 Lotto di Dia Drawings are held Monday to Saturday at 9:00 pm and Sunday at 2:00 pm. Tickets may be purchased until 8:45 pm, on the night of the drawing or sunday till 1:30 pm. Tickets purchased after 8:45 pm are valid for the next drawing or tickets purchased after 1:30 pm are valid for the next drawing. If you claim a prize on a winning Multi Draw ticket before all the drawings on the ticket have occurred, you will be issued a continuation ticket for the remaining draws with the same play numbers as the original ticket. Please be reminded of the following: ALL PRIZES MUST BE CLAIMED WITHIN 90 DAYS OF THE DRAW DATE. Check the official drawing results to see if you are a winner! The Lotto di Dia drawings are broadcasted LIVE by Tele Aruba. Official drawing results are available on lottoaruba.com, facebook, twitter and at Authorized FLpD Retailers. Drawing results with the winning numbers are also printed in the local newspapers the next publishing day. FLpD cannot be held liable in case of omission or errors made by the printed press, radio or television station in regards to the accuracy of the drawing results. Please note that every effort has been made to ensure that the enclosed information is accurate; however in the event of a discrepancy between the website winning numbers and prize amounts, official FLpD records take precedence. Fundacion Lotto pa Deporte will hold official Lotto di Dia drawings where 5 out of 30 numbers will be drawn at random. If your 5 numbers match the 5 winning numbers drawn in the official drawing for the date played, you win the Lotto di Dia Progressive Jackpot. Players matching three numbers or four numbers win other cash prizes as described below. Your play ticket is a bearer instrument. Please examine it carefully for accuracy; it constitutes the only proof of a bet placed. Fundacion Lotto pa Deporte Aruba (FLPD) is not responsible for lost or stolen tickets. Ticket is void if altered, stolen, mutilated, defective, misprinted or if the ticket fails to pass any of the Lottery’s confidential validation tests. The information recorded on the FLPD Central Computer takes precedence over information recorded on this ticket or selection slip. This ticket with a valid signature and identification must be presented in order to claim prizes. Prizes up to Afl.500,= may be claimed at any authorized FLPD Agent. Larger prizes must be claimed in person at the FLPD Head Office. Prizes must be claimed within ninety (90) days after the draw. FLPD reserves the right to publish the name, address and photograph of a winner. All tickets and transactions are subject to the provisions of the Fundacion Lotto pa Deporte (FLpD) Aruba and the rules and regulations as established by the Government of Aruba.